Renowned for its classic designs that are worn by musicians, sports stars and vintage-style lovers the world over, and for having been designed by the most legendary frontman in rock music, Liam Gallagher's Pretty Green label has been a global hit since it was founded in 2009. 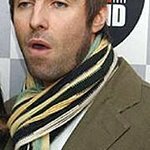 As a British-centric label it will come as no surprise that the Beady Eye singer’s clothing range is completely fur-free. In an e-mail sent to PETA, Pretty Green’s chief executive officer confirmed that the company has a no-fur policy and that it is now labelling any faux-fur trim on its garments. In addition, the company has requested to be added to the animal rights organisation’s list of fur-free fashion brands. Animals on fur farms spend their entire lives confined to cramped, filthy cages before they are beaten, gassed or anally electrocuted. Sometimes, they are even skinned while they are still alive. More than 2 million cats and dogs are skinned in China every year – many while fully conscious. Designers such as Ralph Lauren, Stella McCartney, Tommy Hilfiger, Calvin Klein and Vivienne Westwood have all publicly sworn off fur. With so many stylish alternatives available, there’s no excuse to harm a hair on an animal’s back.